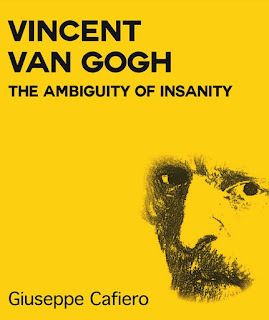 CELTICLADY'S REVIEWS: Vincent Van Gogh - The Ambiguity of Insanity By Giuseppe Cafiero Book Blitz! Vincent Van Gogh - The Ambiguity of Insanity By Giuseppe Cafiero Book Blitz! My main interest in the life of Vincent Van Gogh is in his humanity. In attempting to understand the man and his art, I have focused on the women and the places which played an essential part in his development. In my opinion, no previous biography has concentrated so specifically on these two factors, which I have used to provide the framework for my account. The women are presented as women of flesh and blood, certainly, but also in the roles of spiritual guides (Mrs Jones), mother figures (Kee Voss, Sien Hornik, Margot Begemann), or subjects for portraits (Mme Roulin and Mme Ginoux). Places, too, played a decisive part in the development of his character and art. Isleworth, Amsterdam, the Borinange, Arles, St. Remy, Auvers-sur-Oise witnessed and influenced Vincent’s attempts to capture colours, atmosphere and the effects of light. Anyone interested in the tormented life of this extraordinary man is therefore bound to be fascinated by this account, which also draws out a further vital factor: Vincent’s obsessive determination to become a painter. It is impossible to understand the man without investigating the nature of his obessions. Obsession was the subtle, tragic malady which slowly but inexorably consumed the man: the obsessive determination to express himself in colour and symbol; an obsession with redemption (seen in his mission to the Belgian miners of the Borinage and his relationship with Sien), an obsession with friendship (the failure of his relationship with Gauguin), his obsession with a self-tormenting spirituality (the relationship with his pastor father), with brotherly love (his relationship with Theo, which touches on the morbid), with the sun of the southern France (Arles and Auvers), and with death itself. Powerless to intervene, we witness the long and painful progress towards his final suicide, heralded by the longing for extinction once madness (undoubtedly desired and loved as a means to silence his anguish) had proved a grievous companion and certainly not the source of hoped-for peace. The work consists of ten chapters, each featuring a place and a woman who played an important part in Vincent’s life. 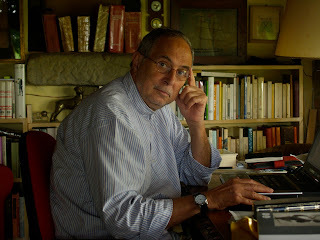 Giuseppe Cafiero lives in the Tuscan countryside, in Lucignano, in the province of Arezzo, Italy. Born in Naples, he spent his childhood in several Italian cities. In Bologna he began to attend intellectual circles at Roberto Roversi ‘s renowned bookstore, “Palma Verde”. It was in one of the magazines published by this cultural center, that the first part of “James Joyce – Rome and other stories” was first published. He later worked for various radio producers, especially Radio Capodistria and the Italian Swiss Radio so he moved to Tuscany. Finally he was able to devote himself to reading and to pursue his literary work. His main literary influence was Calvin, author of extraordinary literary intellectual subtlety and intelligence. Giuseppe Cafiero continuously reads Borges, another great sublime, inimitable author who also worshiped Joyce. 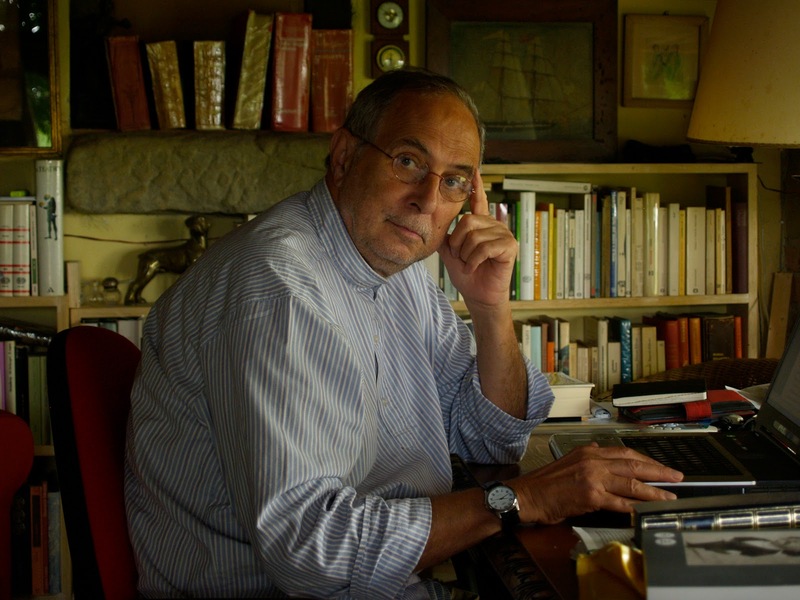 Giuseppe Cafiero has written renditions, free adaptations, reductions for the radio, translations from French. The spectrum of names is extensive, from Shakespeare to O’Neill, from Raspe to Daudet, from Toller to Brecht. He has written for thaetre and radio, collaborating also with the RAI, Radio Sveringes and the Australian Broadcasting Corporation. But his strongest point is the “bio-fiction” as his book about Joyce in Rome, another published in 2008 about Vincent van Gogh, and one about Monsieur Gustave Flaubert in 2010. The three characters were revolutionary in their own field. Van Gogh, with his extraordinarily beautiful explosion of colors. Joyce, who broke with the literary realism of the 1800′s. Due to his experience writing for radio, his books have a great handling of the language of his characters. This is the case of the program Giuseppe Cafiero wrote called ‘James Joyce in una notte in Valpurga’, in 1990, after which he ended the narrative fiction of Joyce’s stay in Rome in 1906 and 1907.